For over 30 years now, Arlington Machinery has been the go-to source for the sale, refurbishment, and purchase of advanced plastics machinery—both regionally and nationwide. 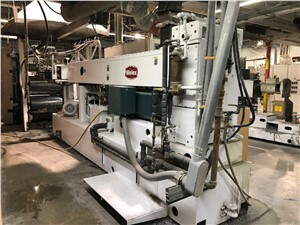 We maintain one of the industry’s best selections of new and used sheet extrusion equipment, and we have a staff of highly trained machinery specialists ready to help you select the right plastic sheet extruder for your unique commercial or industrial application. 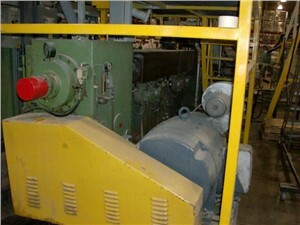 A specific type of extrusion line, a plastic sheet extrusion machine takes raw plastic, melts it down, and feeds it through a flat-sheet die. Depending on the specific polymer and type of die lip used, a plastic sheet downstream will form a continuous, uniformly distributed film of plastic that can be wound or trimmed into a wide variety of end-use products: lighting panels, weather stripping, roll-stock, panels, and many others. 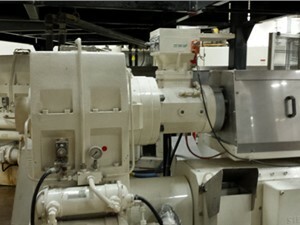 At Arlington Machinery, we understand that even the smallest changes in equipment specifications can drastically alter your production results, which is why our staff is knowledgeable in all components of a plastic sheet extrusion machine—from the single-/twin-screw extruder to the screen changer, extrusion die, sheet stack and winder. Our plastic sheet machines are made by top manufacturers likeDavis Standard, Welex, PTI, American Kuhne, Breyer, OMV, and Randcastle, and they range a wide variety of sheet widths, throughputs, roll stacks, and monolayer/co-extrusion/multi-layer technologies. The right plastic sheet extrusion machine will manufacture with precision, cost-effectiveness, and minimal production error. If you have any questions about which sheet extrusion machines would be best for your manufacturing needs, don’t hesitate to contact Arlington Machinery! 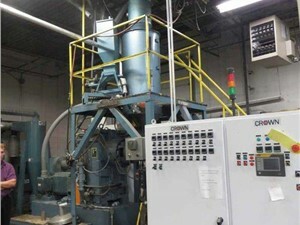 We offer extremely competitive pricing on new and used plastics equipment, as well as in-house machining capabilities to customize any piece of sheet extrusion equipment.You can give us a call to speak with an experienced product technician or go ahead and add your preferred plastic sheet extruder to your online cart to receive a detailed quote.